A cache of toys from the 16th and/or 17th century were recently discovered in a boarded-up stairwell at a parish church in England. Archivists at the Harborough Museum dated the collection to the late Tudor and early Stuart era (1570-1630). The hoard was comprised of “street toys,” including balls, spinning tops, whistles, and knucklebones (early game pieces). Dolls are among the first and most important toys ever developed. This overview from Global Toy News highlights the most influential dolls from the last century and how they affected popular culture. Part 1: 10 Most Important Dolls of the 20th Century; 1-5 – Global Toy NewsI thought it would be fun and interesting to consider those 20 th century dolls that expressed technological breakthroughs and made cultural statements. When you review my list, you may note that I have not included Barbie or Bratz. These two lines of dolls are titans of the doll category and easily overshadow every other doll on the list. Ever wonder how LEGO® got its start? Here’s a wonderful animated film with the detailed early history of the Danish toymaker. Of course, this is just the beginning of the tale, and doesn’t explain how LEGO made inroads into the US market when the Chicago-based EL-GO (subsidiary of the Halsam Products company) was already making their American Plastic Bricks. That’s another story! I recently bought my daughter a Wendy’s Kids Meal and was pleasantly surprised to see a quality construction toy inside instead of the usual movie tie-in. I also recognized the toy from my meeting with the inventor while exhibiting at a late 90’s Toy Fair. These Wendy’s Smart Links were then known as PowerRings by Fun Source of Irvine, CA, but now reborn as a shiny new burger toy. PowerRings sets came in three sizes: 84 pieces, 196 pieces, and 384 pieces (SKU 1203 UPC 631477012038). I pulled the 384 piece set from our archive and recalled meeting the South American inventor. According to the USPTO trademark database, “PowerRings Nature’s Building Blocks” was registered by an Argentinian, Ernesto D Gyurec in 1994 (and cancelled in 2002). The Fun Source company also appears to be defunct, although USPTO shows the Fun Source mark filed in 1996 (and cancelled 2005) by Strottman International, Inc., a well-regarded provider of kids meal premiums and other promotional products. 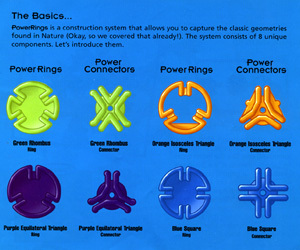 The Smart Links package contained 11 connectors (plus a paper insert to suggest imaginative play uses) which are almost identical to the PowerRings triangle, square, rhombus pieces … only slightly larger. 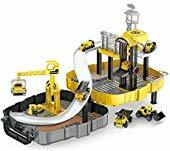 Given the number of posts about the Smart Links elsewhere online (and their listing on Amazon.com and eBay), I’d say these toys are making a lot of kids happy. It’s too bad they were not successful as a stand-alone brand but burger toys are among the best ways to profit in the toy business and often become collectible. Toys have a universal appeal. Everyone has a favorite toy from their childhood. Beyond nostalgia or collector research, the history of toys is the history of our civilization. Toymakers from Germany and England brought European designs to America. The tradition of fathers and grandfathers making toys for their families was changing as the population moved to the larger cities. 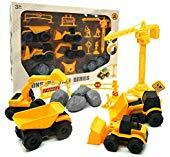 More elaborate toys could be bought with higher urban wages, and soon most toys were store-bought and it was the marketers who designed toys. 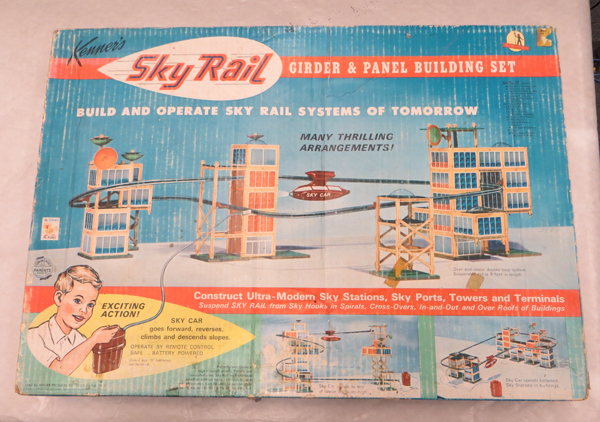 Preserving the history of these playthings may help sociologists and cultural anthropologists, but it’s fascinating to anyone who remebers a special toy received for a birthday or holiday. So, in that spirit, we offer here an assorted history of American playthings.